« Five and Two. Beautiful, naturally. EnglishToday I’ve a juicy pack of products for all the small entrepreneurs, offered by Sunday Afternoon Housewife. The total value is 29.99 USD $ and consists of three prizes. Find below what these products exactly are and how you can win them. 1st PRODUCT – The Blogging Adventure: Tips & Prompts for Crafters by a Crafter, value $19.99. • 25 thought-provoking prompts for every weekday in a month (Monday through Friday). With these prompts you can write a engaging blog post every weekday for a month! • A chance to expand your social network beyond just friends and family by meeting new art and craft bloggers across the country. This e-book is designed to be interactive. As you read through prompts and activities, you will see links to websites, worksheets, and more. Following these links will help you expand your knowledge of blogging as a crafter. 2nd PRODUCT – Consignment Tracker Spreadsheet, value $5. If you sell your handmade products in consignment shops, you know it can be challenge to keep track of inventory month to month. Having well stocked shops means more sales for you and that’s important! This worksheet is designed to help take away some of the hassle while keeping track of your inventory and your income from your consignment sales. This spreadsheet allows for you to track your inventory all year long with a few simple entries each month. You don’t have to do any of the hard work here, simply enter your product, retail price, quantity in inventory, and when you get an inventory update from a store, you can quickly input your sales to see what current inventory levels are. 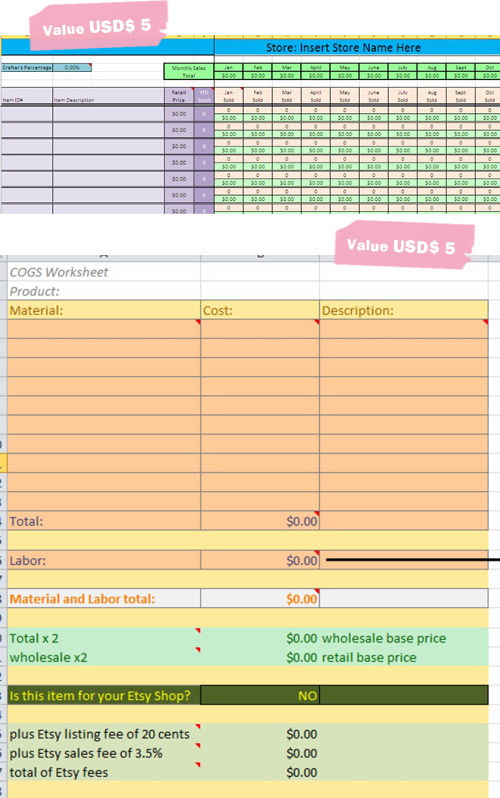 3rd PRODUCT - COGS Worksheet, value $5. COGS Stands for cost of goods sold, and if you sell things, you need to know how to figure your COGS. The spreadsheet takes out the guess work and easily calculates your COGS once you enter in the prices of your materials and your time. “My name is Martha Latta and my business is Sunday Afternoon Housewife. I am a self-taught handmade artist who creates Scrabble tile pendants, glass tile pendants and silk screened tees. I also make lots of randomness. I travel all over the country to different craft fairs and have learned a lot from my trips and the experiences of attending many fairs. On my blog I regularly write about crafting, running a craft business, and taking a craft business on the road. I also create digital tools and ebooks for crafters. I write on my own blog (almost) daily. I am also a writer for Handmadeology. Additionally, I’m the Regional Craftologist for Indianapolis, Indiana on Unanimous Craft. I’m also a monthly guest writer on Handmade Success! I’m also the founder of the Handmade Promenade, an Indianapolis-based handmade market, and The Uncommon Craft Society of Indianapolis, a meet-up community of local crafters. Sunday Afternoon Housewife is also on Facebook and Twitter. You can join the game till Sunday 29th of May at midnight (Italian time zone). The 30th I’ll extract the winner and he must reply within 5 days to claim the prizes. All prizes are digital files and will be delivered directly to the giveaway winner. Why take this free e-course? 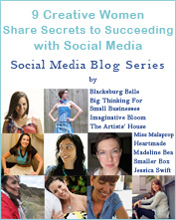 It is chock full of tips for crafters who blog or want to blog, but need a little kick in the pants. These tips are sent directly to your inbox each day. These tips will help you on your quest to improve your blog. Each day for 5 days you will get a blogging prompt. These prompts will help give you something to write about, to help add variety to your blog, and give you that boost you’ve been needing to get your blog up and running with more regularity. ItalianoOggi ho un pacchetto di prodotti succoso per i piccoli inprenditori, offerto da Sunday Afternoon Housewife. Il valore complessivo è di 29.99 $ e consiste di 3 premi. Qui sotto trovi in cosa consistono e come puoi vincerli. 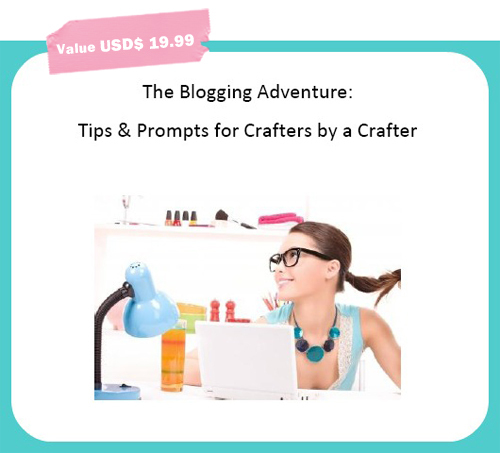 1° PRODOTTO – The Blogging Adventure: Tips & Prompts for Crafters by a Crafter, valore $19.99. • 25 pensieri che stimolano la rifelssione per ogni giorno della settimana di un mese (dal Lunedì al Venerdì). Con questi suggerimenti puoi scrivere un articolo coinvolgente ogni giorno della settimana per un intero mese! Questo e-book è pensato per essere interattivo. A mano a mano che leggerai i suggerimenti e le attività proposte, vedrai link a siti web, fogli di lavoro, e altro. Seguire questi links ti aiuterà a migliorare la tua conoscenza sul blogging come artigiano/artista. 2° PRODOTTO – Consignment Tracker Spreadsheet (Foglio di calcolo per l’inventario) , valore $5. Se vendi i tuoi prodotti artigianali in dei negozi, sai che può essere difficile tenere traccia dell’inventario mese dopo mese. Avere un negozio ben fornito significa più vendite per te e questo è importante! Questo foglio di calcolo è pensato per aiutarti a eliminare alcuni noiosi passaggi necessari per tener traccia del tuo inventario e dei guadagni derivati dalle vendite a questi negozi. Questo foglio ti permette di tener traccia del tuo inventario per tutto l’anno con l’inserimento di poche e semplici voci al mese. Con questo non devi fare nessun duro lavoro, semplicemente inserire il tuo prodotto, il prezzo al dettaglio, le quantità nell’inventario/a magazzino, e quando hai un aggiornamento da fare, puoi velocemente inserire le tue nuove vendite per vedere qual’è lo stato attuale del tuo magazzino. 3° PRODOTTO - COGS Worksheet (Foglio di calcolo del costo del venduto), valore $5. COGS sta per costo dei prodotti venduti, e se vendi cose, hai bisogno di sapere quale sia il tuo COGS. Il foglio di calcolo fa il lavoro per te e calcola facilmente il tuo COGS una volta che inserisci i prezzi del materiale e i tempi di lavorazione. “Mi chiamo Martha Latta e la mia attività si chiama Sunday Afternoon Housewife. Sono un’ artigiana artista autodidatta che crea ciondoli, pendenti a mattonella in vetro e t-shirts con la tecnica dello screen printing. Faccio anche molte altre cose. Viaggio per tutto il paese nelle fiere dell’artigianato e ho imparato molte cose dai miei viaggi e dalla partecipazione alle fiere. Nel mio blog, scrivo regolarmente di artigianato e della gestione di un piccolo business. Creo anche strumenti digitali ed e-books per gli artigiani. Scrivo suk mio blog quasi giornalmente. Scrivo anche per Handmadeology. In più sono nella Regional Craftologist per Indianapolis, Indiana su Unanimous Craft. 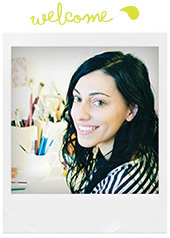 Scrivo mensilmente anche per Handmade Success! Sono la fondatrice di Handmade Promenade, un mercato dell’handmade di Indianapolis, e The Uncommon Craft Society of Indianapolis, una comunità di incontro per gli artigiani locali. Sunday Afternoon Housewife è anche su Facebook e Twitter. Potete partecipare fino a domenica 29 Maggio a mezzanotte. Il 30 annuncerò il vincitore che dovrà rispondere alla mail entro 5 giorni. I premi sono tutti files digitali e verranno spediti direttamente via email. Perché seguire questo corso? E’ pieno di suggerimenti per gli artigiani che hanno un blog o che vogliono averne uno, ma che hanno bisogno di un pò di “calci nel sedere”. Questi consigli ti vengono spediti ogni giorno nella tua casella email. Ti aiuteranno nella missione di migliorare il tuo blog. Ogni giorno, per 5 giorni avrai uno stimolo nuovo per il tuo blog. Ti aiuteranno ad avere qualcosa su cui scrivere, ad aggiungere varietà al tuo blog, e a darti quella spinta di cui hai bisogno per avere un blog funzionante e più regolare. AGGIORNAMENTO: Il vincitore è… Lux! soccer jersey away give to you, free shipping arrive oversea. Ԝhats up are using Wordpress for your siute platform? I’m neѡ to the blog world but I’m trying too get started and seet up my own. Any help would Ƅe really apⲣreciated! as I found thіs post at this web page. I tweeted about this and posted on FB! Clay Space shared this giveaway on their wall. 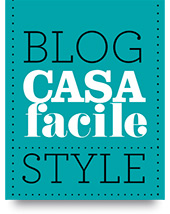 Wonderful give away and great blog as well (I had to go check that out too). Shared it with my Etsy Team and Facebook. We are all bloggers and I think they would all get a lot out of this!